On August 3rd, the Isobar NowLab’s VR team shot the world’s first 360° Video of Kīlauea Volcano lava flow. 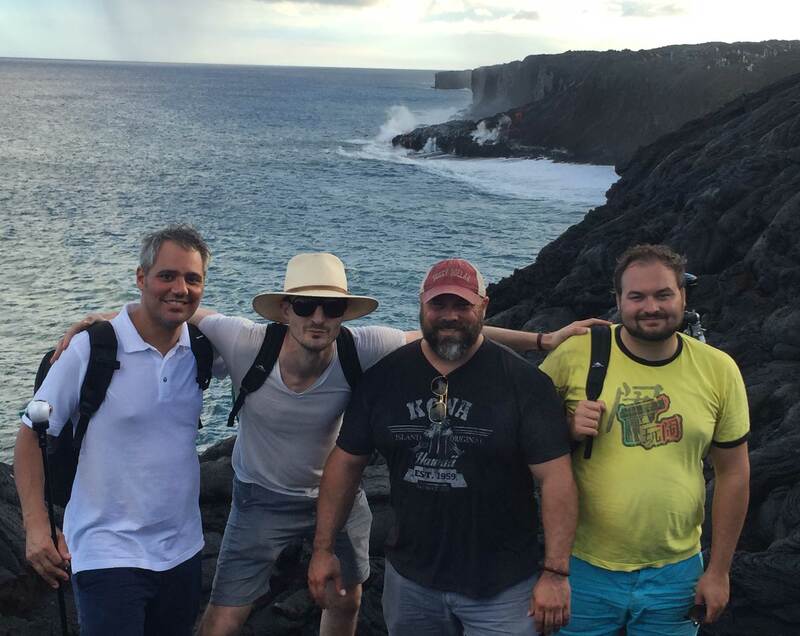 While on location in Hawaii capturing footage and laser scans for a new VR experience for a hospitality client, the team biked the 5 miles out to the 61G lava flow and captured the ocean entry using a new 360° lens from Sphere. The 61G lava flow entered the ocean in July for the first time since 2013. Rob Englert of Sphere, who accompanied the team, shot the video and commented, “This was an amazing opportunity to film one of the only active lava flows in the world with a great team from Isobar. The intense heat coupled with an almost alien landscape made the overall experience incredible.” The Sphere lens captures 360° by 180° with no blank spots, no need to manage multiple cameras, and no stitching artifacts, and is compatible with most cameras that can attach an SLR lens. Previously, similar filming and photography would have to be taken by a circular rig of cameras, and while other products have recently been released that are single-device 360° video solutions, such as the Samsung Gear 360, Sphere’s lens is the only device currently capable of attaching to a camera capable of shooting 8k.